The main cause of cancer is the mutation of DNA in cells, so that cells break themselves up with speeds that exceed normal. Finally, there is a buildup of new cells that are not needed by the body. This new cell will continue to grow into adulthood and then divide again, and so on. In addition, mutations also occur in genes that are responsible for repairing DNA damage. Normally, this gene functions to see what abnormalities occur in the cell's DNA, then fix it. Because these genes have mutations, this gene is unable to repair abnormalities that exist in cells until eventually these cells become malignant. There are several factors that can cause mutations in normal cells, and can come from inside or outside the cell. Mutations originating from within cells are generally acquired genetically from parents. While the causative factor is from outside the cell, the most common is exposure by substances that can trigger mutations (mutagen). Some substances that belong to the class of mutagen include: • Cigarettes • Radiation • Virus • Carcinogenic chemicals • Hormones Mutations due to external factors can also be caused by other factors such as obesity, chronic inflammation and lack of physical activity. In general, external factors are more risky to cause cells to mutate compared to internal factors. Risk factors that can increase a person's chances of getting cancer are as follows: • Age. The development of cancer in a person can occur for a very long time, therefore most cancer sufferers are older people over the age of 65 years. Even so, cancer can also be experienced by anyone regardless of age. • Family history. Genetic mutations can be inherited from parents. If someone has a family member who has cancer, there is a possibility that the person has a risk of being exposed to the same condition. It is recommended for people who have a history of cancer in the family to undergo genetic testing to check for a genetic mutation in the person. • Chronic health conditions. Some chronic diseases can increase the risk of cancer. For example, ulcerative colitis can increase a person's risk of developing colon cancer. • Environment. Environmental factors can increase the risk of cancer in someone. Examples are dangerous chemical compounds such as asbestos or benzene. 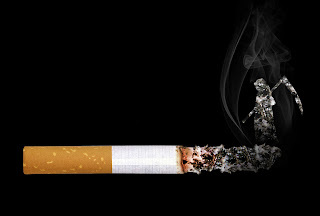 Smoking also increases the risk of cancer, especially lung cancer. • Infection. Some viruses can cause or increase the risk of cancer. Examples are hepatitis B and C viruses that can cause liver cancer. In addition, HPV (human papilloma virus) virus infection in women can cause cervical cancer. • Immune system disorders. People with immune system disorders or people with a weak immune system are more likely to get cancer than healthy people. Immune system disorders can come from infections such as HIV / AIDS or drugs that suppress the immune system.